Welcome to the Fab's fleet generator. This site propose a set of tools in order to create fleets for STAR WARS Armada Games. 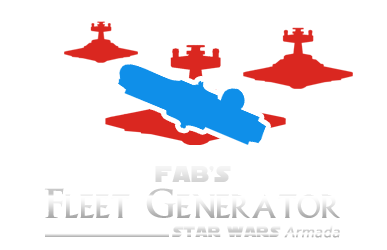 For the X-wing Miniatures players the Fab's squadrons generator is available !